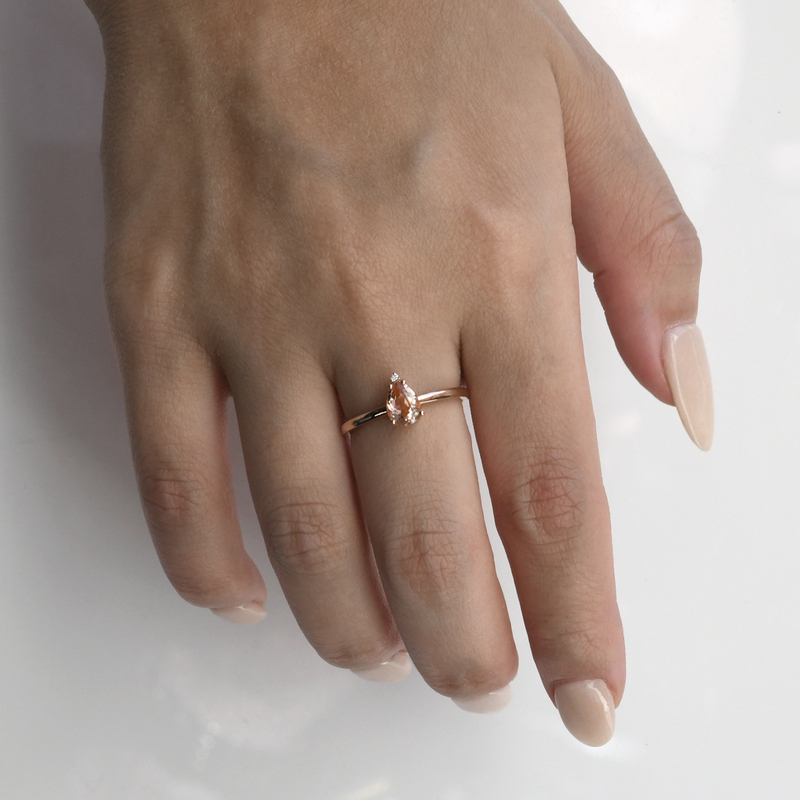 9ct or 14ct solid rose gold morganite ring. The Metropolitan ring features a pear shaped, peach toned Morganite, measuring approximately 5mm x 7mm (0.67ct). Atop the morganite, sits a fine round brilliant cut diamond. Von Treskow Luxe diamonds are colourless. All are rated colour E to F and clarity SI1 to SI2.